SINGAPORE (ICIS)--China’s phenol imports may stay strong on the back of overall snug supply in Asia. 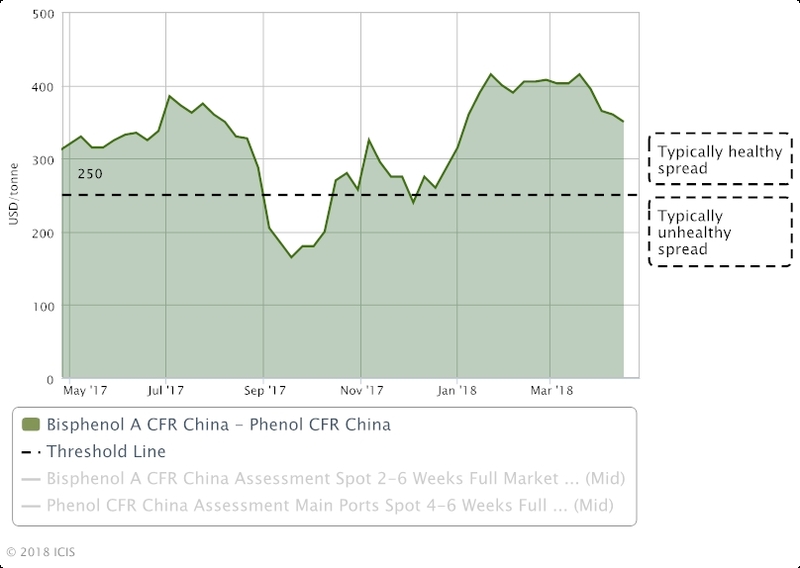 Discussions for a May-loading shipment of US origin were at $1,380-1,400/tonne CFR (cost & freight) China, up $20/tonne from ICIS’ assessment last week. The prices have increased by 13.9% over a period of one month from 22 March, according to ICIS data. “Supply of Asia-origin cargoes are rather limited at present and buyers are looking further afield, towards US and Europe for phenol,” a trader said. 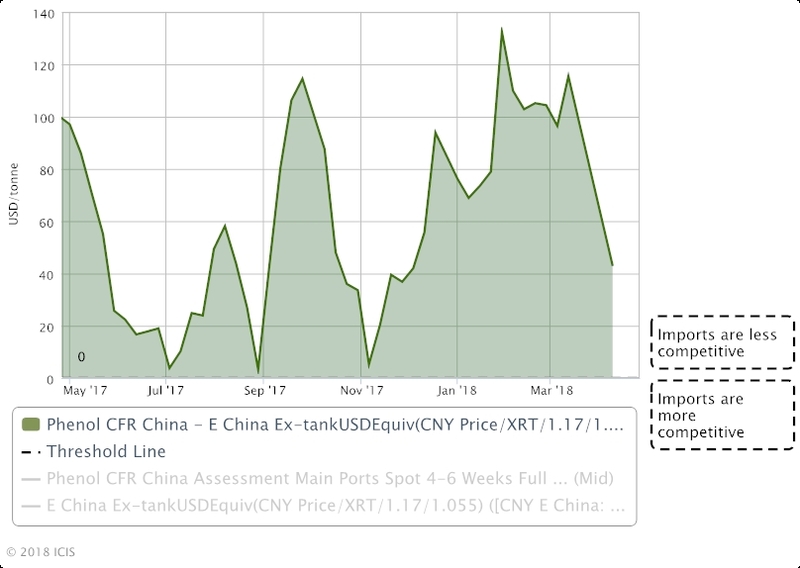 Domestic prices in east China this week were at around Chinese yuan (CNY) 10,550-10,600/tonne ($1,664-1,672/tonne), up CNY50/tonne at the low end of the previous week’s price range. “Firm domestic prices have given Chinese buyers more incentive to match offer levels to purchase cargoes as prices are comparable on an import parity basis,” a Chinese importer said. Prices of bonded cargoes in the Chinese market have also risen to $1,420/tonne this week, up $20/tonne from 20 April. Supply to China is curtailed in the second quarter due to plant maintenance in Asia and the Middle East. Within China, phenol supply is limited due to scheduled shutdowns of major domestic plants. Formosa Petrochemical’s phenol/acetone plant in Ningbo is currently shut for maintenance. Cepsa Chemical’s plant in Shanghai, meanwhile, will be shut for a turnaround from 25 May- 10 June; and PetroChina Jilin Petrochemical’s plant due to undergo maintenance from 5 May-18 June. Elsewhere in northeast Asia, a major plant in Taiwan is running at below 60% of capacity since its restart in late March; while spot supplies from South Korea for May is tight amid low inventories among sellers. In the Middle East, supply is restricted as Petro Rabigh’s phenol unit in Saudi Arabia has been shut since 11 April for maintenance. In southeast Asia, scheduled plant turnarounds were also limiting supply. PTT Phenol’s plant in Thailand is scheduled to be shut from mid-May to early June; while Mitsui Phenol Singapore’s plant was shut on 7 April for a month-long turnaround. 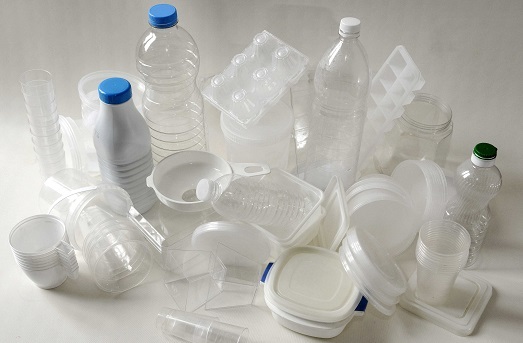 Demand is China is being buoyed up by healthy margins among downstream bisphenol-A (BPA) makers. The BPA-phenol spread stood at around $300-350/tonne this week, higher than the breakeven spread of about $250/tonne. But phenol suppliers were preferring to sell to the Indian market, where phenol prices are currently higher than China’s by $40-50/tonne. India’s phenol demand is seasonally strong, particularly from the adhesives and coatings sector, as construction activities are in full swing in the second quarter. Import discussions for non-anti-dumping dutiable (ADD) May-loading cargoes in the market were at $1,420-1,450/tonne CFR India.